For millennia mankind has been lost and had a feeling of being unfulfilled or incomplete, which has lead him to search and seek for answers to fill this void, or help to re-find himself. At certain periods throughout the history of man “Messengers of God” known as Messiahs or Avatars have appeared on earth, bringing with them Teachings for humanity which point out the WAY home. These teachings have all carried the same message in various guises. The underlying truth contained within all these teachings, is that we are all One Consciousness, and that ultimately there is no separation between man and God (Absolute Consciousness). These Messengers have all pointed out that man has mistakenly identified himself with a separate sense of self, creating an apparent division between himself and God or Absolute Consciousness. Their teachings have all stated that man needs to disentangle and detach himself from this false feeling of seperateness. They have pointed out that this is the real purpose of life and have shown the way for man’s Divine re-Union to take place. Unfortunately the powers that be throughout these periods have taken the Teachings and distorted and manipulated them to keep control of man for their own gain. They have censored and distorted these Teachings to their own advantage and created false religions. Due to this distortion, much division and separation has been created amongst man. Fortunately these Messengers gave their teachings in parables and Sutra’s (short direct statements containing a vast wealth of knowledge) which were not easy to comprehend, but when understood contained great Spiritual Truths. Throughout history there has been contemplative Mystics from various traditions, who through their meditative way of living and contemplation upon the statements of the Messengers, have managed to penetrate and uncover these hidden Truths. They have discovered that there is a Mystical key of understanding which reveals the original Truth-teachings, which were contained in the Teachings taught by these Messengers of God. Swami Yogeshwarananda Giri has lived a contemplative life of a Hermit monk for over 50 years, often living in secluded caves in the Himalaya’s. Through this meditative way of living, and many years of study with other learned monks and Spiritual Seers he has discerned this Mystic wisdom, which unlocks the treasure-house of Wisdom contained within the original teachings of the Gospels and Scriptures of the Messengers. Swamiji is adept at clearly interpreting and De-mystifying the real meaning behind these Scriptures in a precise, gentle, and non-indoctrinating way that the serious modern eastern and western seeker can easily digest, and understand, and hopefully put into practice in their daily life. 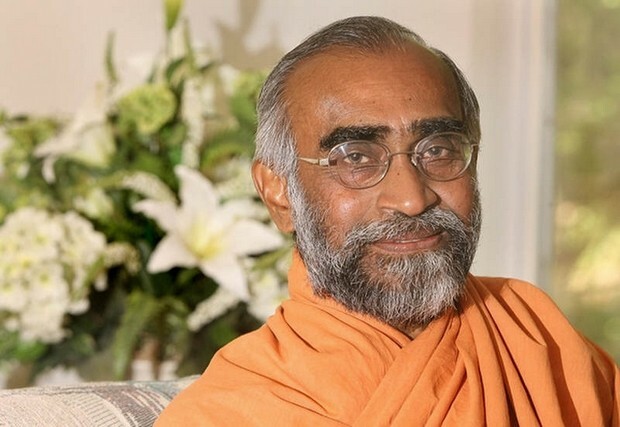 When followed sequentially in the order laid out, the teachings of Swami Yogeshwarananda Giri will gradually andprogressively open out and reveal an abundance of Spiritual wisdom which is mystically hidden within these various scriptures of the world. The truly discerning Spiritual aspirant will find that if each teaching is read separately and then pondered and reflected upon (as opposed to being read in continuation like a book), a great wealth of knowledge will gradually reveal itself and make clear the WAY to re-find oneself and realize this Divine Consciousness which these Messengers were all pointing to.